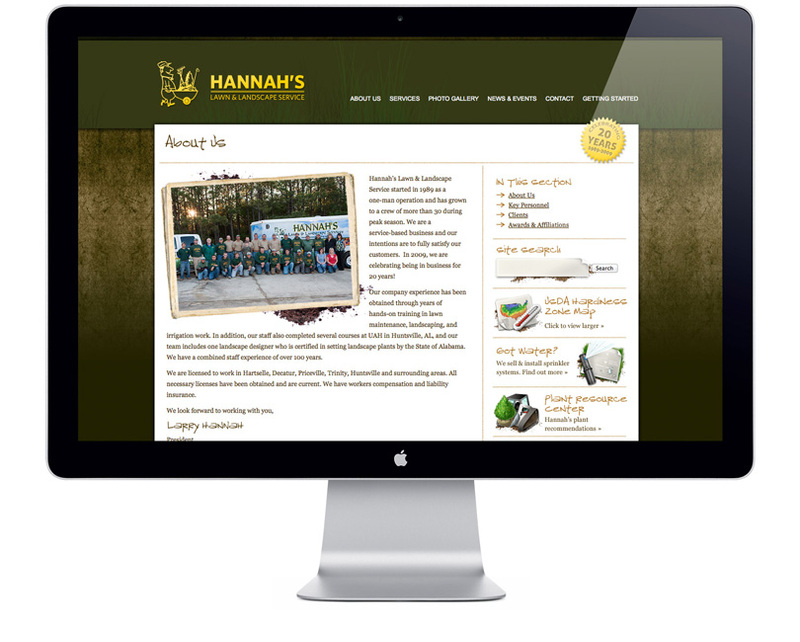 A commercial and residential nursery supply company was growing to offer landscape design. The owner had garnered the respect of the community because he was not afraid to roll up his sleeves to get the job done right. He picked the McComm Group to tell his story because we follow that same work ethic. 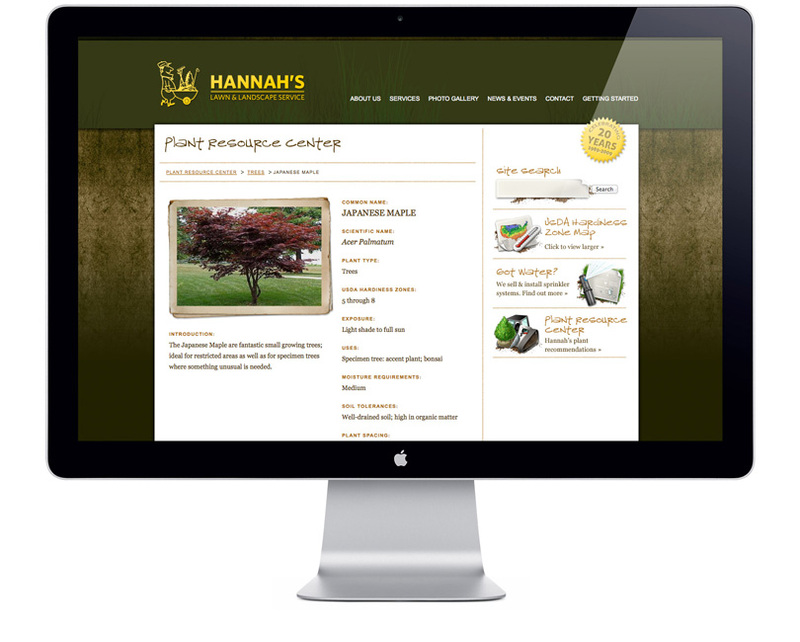 The site features custom icons as well as a handy plant resource guide that gives Hannah’s customers a reason to return to the site for information. 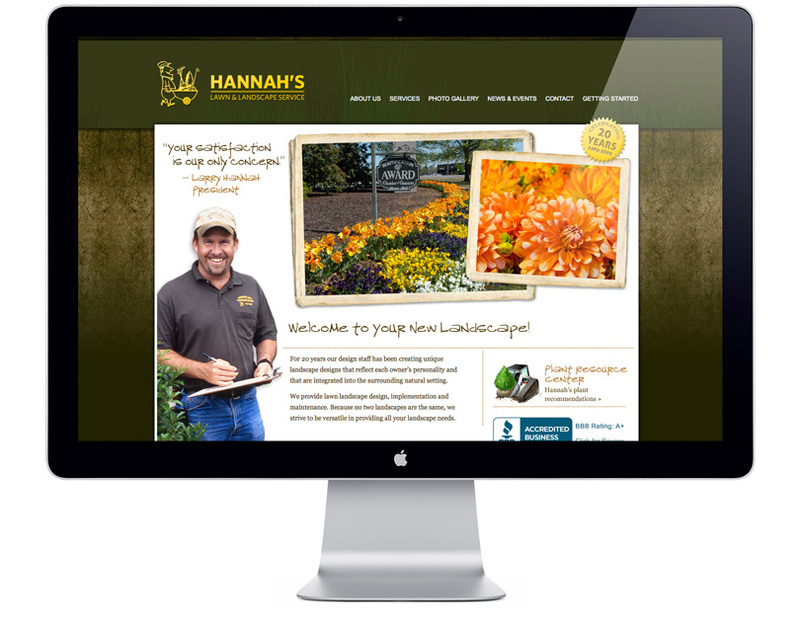 Our client also uses the guide in the field to present plant options to his landscape design customers.